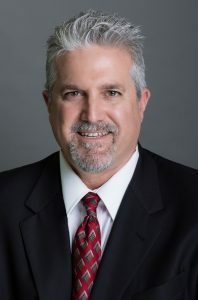 Tom Parashos is the Broker of Record for both Palisade Commercial and Palisade Realty licensed by the California Bureau of Real Estate, and is the founder of Palisade’s commercial real estate division. His passion is representing buyers and sellers in commercial transactions, 1031 exchanges and multi-family units. His sales abilities and integrity translate to the highest level of customer service. He knows how important each transaction is to his clients, and his dedication and persistence ensure that his clients obtain the maximum opportunity for profit and success in every transaction. Tom Parashos is a San Diego native graduating from Saint Augustine, H.S. 1982 and from Thomas Jefferson University, School of Law in 1987. He passed the California Bar and has been a licensed attorney since 1988. As an attorney he has handled many real estate matters for his clients for over 30 years involving sales, leases, landlord-tenant matters, 1031 exchanges and general civil disputes. Tom lives in San Diego with his wife, Hedda and their two sons, Andrew and Thomas. His interests include fishing, gardening, the San Diego Padres and enjoyed many Chargers games when they were the hometown team. Tom is professionally affiliated with the San Diego Association of Realtors, California Association of Realtors, National Association of Realtors, San Diego Multiple Listing Services, Southwest Riverside County Association of Realtors, Southwest Riverside County Multiple Listing Services, the California Bar Association and San Diego County Bar Association. Tom can be reached at 619.794.0218, 619.850.4574 or via email tparashos@palisaderealty.com.